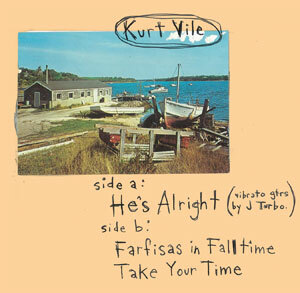 It’s becoming a habit for us to release a 7″ before an album, and Kurt is no exception. “He’s All Right” will be in stores on September 8. The A-side comes from the album, and it contains two non-LP B-sides. 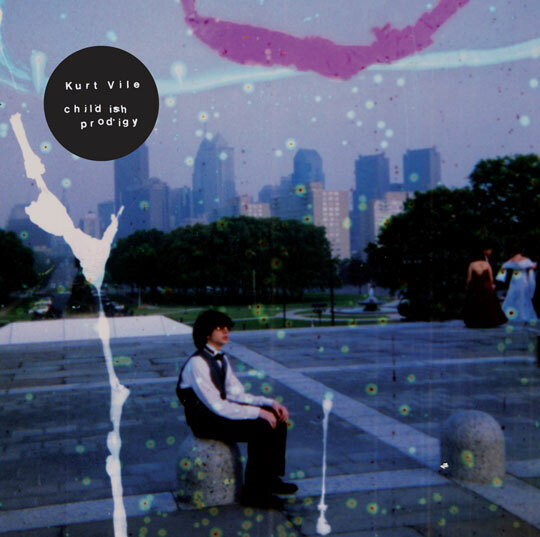 You will have multiple opportunities to see Kurt Vile this summer, both solo and with his backing band the Violators (those dates are marked *). There will also be a national tour starting shortly after the album release date. is it a double album? looking at the $18 price tag. i guess i understand, pressing records is expensive these days. just checking, you know? The album cover is great! The show listings are wrong! The night of his show with Tyvek and Coconut Coolouts is a thursday night!!! Is the version of “Hunchback” the same as the one that appeared on the 12″ earlier this year? “Hunchback” on Childish Prodigy is a fairly different new, version of the track, “The Hunchback” on said 12″. but $8 shipping on an lp is ridiculous. prevented me from purchase, and i’m sure it’ll do the same for many others, is all i’m saying. Thanks for your comment Brian – Patrick brought it to my attention and I went into our back end to double check the shipping rates as a result. Mind you these shipping rates come from a database I personally modify based on product weight + UPS/USPS charges, and the rates entered were, in fact, wrong – my mistake – but not by much. If you refresh your checkout page you’ll see the charges have been lowered slightly: $6 USPS domestic, $7.50 UPS ground, $12 UPS 2nd day, and $14 UPS next day. If you already preordered, don’t worry, we haven’t charged you yet since nothing’s shipped so these lower rates will apply to all orders. In general though, vinyl is heavy and if you’re squeamish about shipping charges, you gotta leave your apartment or buy digital. One love. are cd only, but might anyone know if they are the 2 unreleased tracks found on the 7″? They’re on the 7″ that’s correct. LP purchasers will get digital versions of them on the download coupon. danke. So if one pre-orders one gets the lp, the 7″ and 10% off? That’s a pretty stylin’ deal. Thanks again for the reply. Anyone know the tracklist for Childish Prodigy?